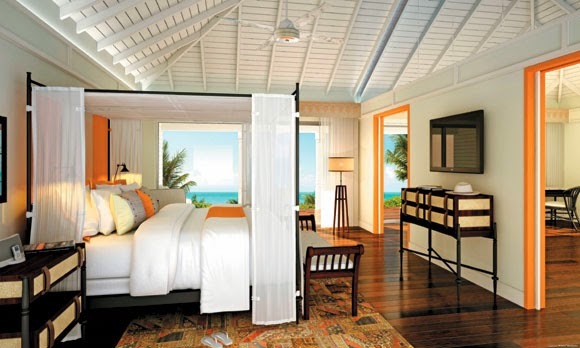 Visit the decadent Hotel Guanahani & Spa on the gorgeous island of St. Barths and revel in Exclusive Complimentary Perks when booking your stay across WhataHotel!. This Caribbean island may be small, but the beauty is undeniable. 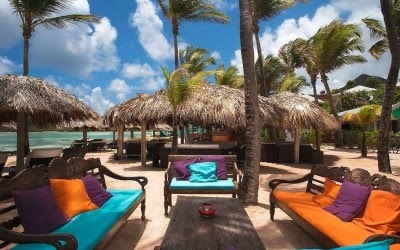 Stay at the gorgeous Hotel Guanahani & Spa and discover limitless luxury, a friendly staff and a very relaxing atmosphere. Come to a place where warm weather, white sand beaches and turquoise waters are all but guaranteed. St. Barth is one of the Caribbean's smaller, more intimate islands, filled with boutique hotels and the promise of uncrowded beaches. Hotel Guanahani & Spa is nestled at the end of Grand Cul de Sac Bay overlooking Marigot Bay on the Atlantic side of the island. The resort is home to two pristine beaches, one even boasting calm waters and a picturesque reef. Guests can experience a tropical charm in all of the cottages, some have a garden view while others offer stunning views of the ocean. 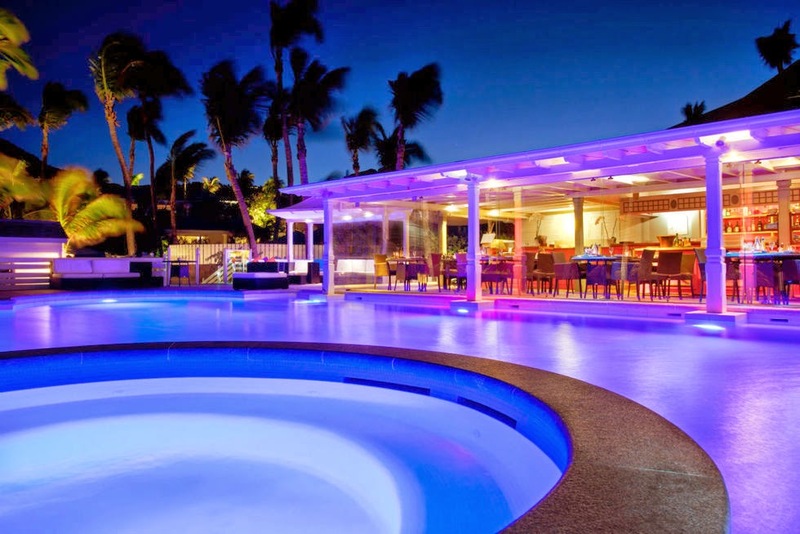 This full service resort also features three remarkable restaurants that take visitors from beachfront to fine dining, all with delicious menu selections. Active guests will be thrilled to find two tennis courts, a fantastic fitness center that is located on the beach, an 82 foot long pool, and even a water-sports center. 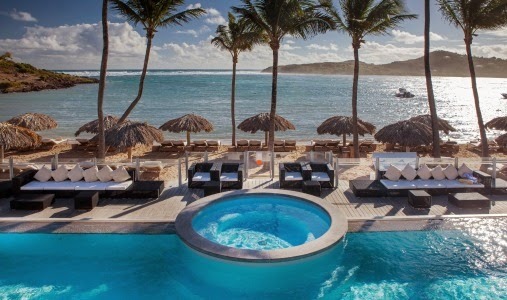 Hotel Guanahani & Spa is the perfect place to relax as it is home to the largest spa on St. Barth's. Here guests can indulge in luxurious treatments in a tranquil environment. 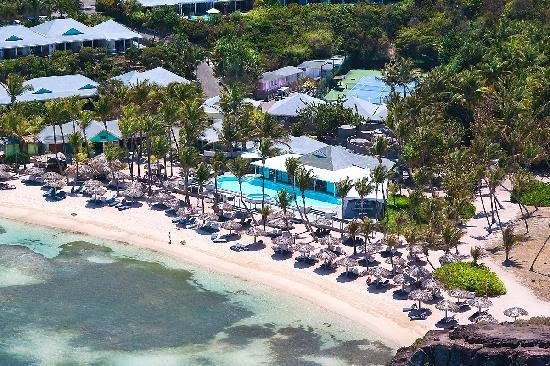 This resort didn't forget their youngest guests when creating this spectacular vacation spot, there is a complimentary children's program so that kids can play while parents can sit back and really relax. Travel to a place where colorful cottages sprinkle the hillside and the knowledgeable staff ensures that every guest enjoys a memorable trip. When booking your travel to Hotel Guanahani & Spa across WhataHotel!, visitors can savor the Exclusive Complimentary Perks for an unbeatable deal. These perks include available upgrades, an American buffet breakfast for two each day, and one dinner for two at Barto or Indigo restaurant. The Caribbean is a favorite vacation destination, filled with beautiful islands and ultra-chic resorts. 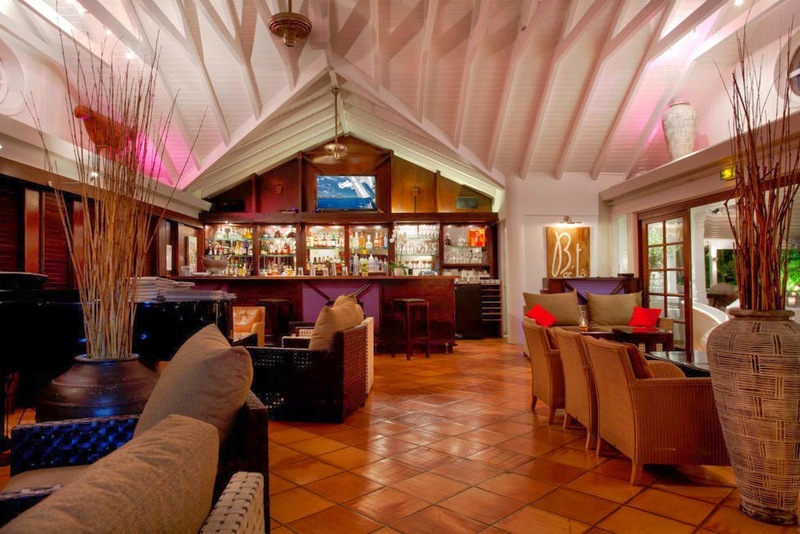 St. Barts (St. Barths) is the perfect option for those looking to stay in a secluded and romantic spot that is also sure to bring adventure and excitement.